He’s back! 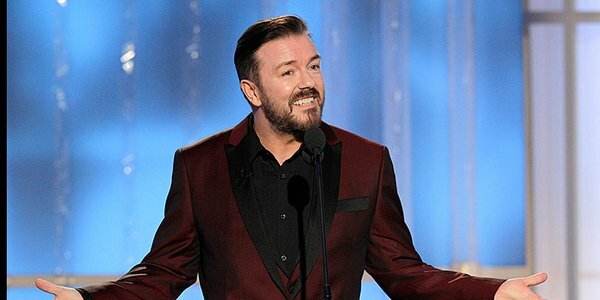 Ricky Gervais has been tapped to host the 2016 Golden Globe Awards. Gervais hosted the Globes for three consecutive years from 2010-2012, which made him the talk of the town for his controversial jokes. Nominations for the Golden Globes will be announced Thursday, Dec. 10. The 73rd Annual Golden Globe Awards will be broadcast live on NBC Jan. 10, 2016 from the Beverly Hilton Hotel. Posted on October 27, 2015, in ENTERTAINMENT NEWS. Bookmark the permalink. Leave a comment.